As every player knows, golf is played in the mind as much as it is with the body. Controlling your mood and managing the inevitable frustrations that are part of the game is critical if you plan to improve your scoring, and most importantly enjoy your time on the golf course. Here are some questions I frequently get asked by the golfers I work with. Q1 WHEN I HIT ONE BAD SHOT, I GET ANGRY AND THEN HIT A SERIES OF BAD SHOTS. HOW CAN I STOP DOING THAT? Your anger may come from having unrealistic expectations. Every golfer has hit “the perfect shot” and hopes to duplicate it every time. This is an expectation that is impossible to deliver. A good attitude to adopt is that golf is not a game of perfection, but rather a game based on your real ability, and how well you meet the challenge of recovering from missed shots. Watching the world’s best golfers on weekend TV can distort your perception. The telecasts show the players who are playing at their peak potential that week and often only show their best shots. We then expect that we should duplicate what we see. To keep it in perspective, look at the stats for the entire field. For instance, an average field of pros “get it up and down” only 50% of the time out of a greenside bunker. Another unrealistic expectation of most amateurs is based on the maximum distance they can hit each club. A golfer who can hit a 6-iron 130 yards on her best day under perfect conditions, will hit that club every time she is around 130 yards from the target. As a result, her approach shots are often short where most of the trouble is. A more realistic approach would be to take one more club and hit to the middle/back of the green and avoid the bunkers. Choosing a low-percentage shot when there are safer options can result in anger and frustration when you fail to pull off the “miracle shot.” Don’t expect good results from a low-percentage shot if you haven’t practiced it enough to be confident of success. The best expectation to have on the golf course is that you are there to have a good time and enjoy yourself! Q2 WHAT CAN I DO TO KEEP FROM GETTING STRESSED WHEN I’M PLAYING? Begin to monitor the chatter that might be going on inside your head. We all have self-talk that goes on constantly. The banter on the first tee is a verbal indication of what golfers are saying to themselves such as, “I haven’t played in a week (so don’t expect me to play well)“, or “My handicap just went up (because I am playing terribly)“. These are examples of negative self-talk which sabotage your golf game. Begin to see the game (and yourself) the way you would like it to be. Talk to yourself as if you were the finest caddy on a pro tour. A good caddy’s job is to reinforce your self-worth, remind you of past successes, help you to think clearly, and keep you relaxed and calm. Treat yourself as if you were talking to your best friend, encouraging her and pointing out her good traits and successes. As you give yourself positive affirmations, breathe deeply to create a feeling of relaxation and acceptance. Also, adopt the attitude that you can improve and that you believe in yourself and in your ability. Q3 HOW CAN I BE LESS FRUSTRATED ON THE GOLF COURSE AND ENJOY IT MORE? Frustration on the golf course could be the result of unrealistic expectations. When you set standards of perfection that are unattainable, you will constantly experience failure. It is important to acknowledge that you will hit bad shots. Blaming yourself and feeling badly only increases the chances that you will make even more mistakes. When you associate your feelings of self-worth with your ability to avoid mistakes you will be on an emotional roller coaster. You will feel more relaxed and experience less pressure if you do not demand perfection from yourself. The more you replay your missed shots in your mind, the more you deplete your self-esteem. Realize that you cannot change your missed shots, but you can change your thoughts that upset you. Life or a round of golf is very seldom all good or all bad. Don’t make your missed golf shots the central theme of your thoughts. Reverse that kind of thinking and focus only on the good shots that you have hit. Q4 HOW CAN I HAVE TRANQUILITY ON THE GOLF COURSE WHEN THINGS ARE NOT GOING QUITE AS THEY SHOULD? To regain tranquility on the golf course is a simple matter of remembering that golf is played in the present. When you have expectations of yourself such as hitting a perfect shot every time or shooting a certain score, you are not in the present time. Play one shot at a time and give each shot the same amount of attention. Tranquility is a state of being where you are at peace with yourself and the world around you. If you are upset with the way things are going and you lose your confidence, focus on breathing out the tension and breathing in calm and relaxation. When you are calm and centered inside yourself, visualize successful shots you have made either that day or in the past. Replay them over and over in your mind, feeling the good physical and emotional feelings until you are confident once again. Golf is a game, but it is a challenging game mentally. Keep some of these simple strategies in mind the next time you begin to feel stressed, frustrated, or angry on the golf course. Joan King, BCH, Peak Performance Strategist, Master Sports Hypnotist & NLP Practitioner, founded Positive Mental Imagery, a mental sports consulting firm in 1992 in Florida. Her academic background includes a B.A. in Psychology from the University of Vermont, and Joan is Board Certified by the National Guild of Hypnotists as a Sports and Clinical Hypnotherapist. 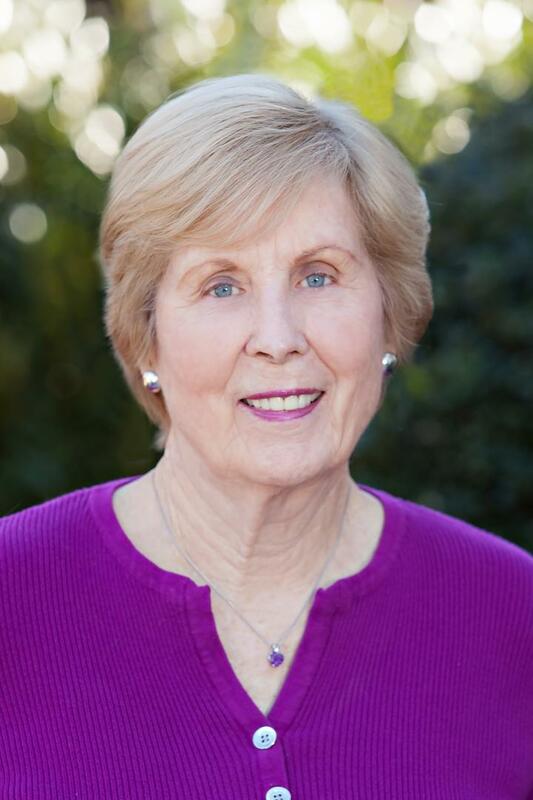 A low handicap senior amateur golfer, Joan has competed in state, national and international championships, including qualifying for nine USGA Senior Women’s Amateur Championships, and three Canadian Senior Ladies Amateur Championships. Ms. King has taught thousands of amateurs, junior tournament golfers and LPGA and PGA professionals how to understand the mind-body-spirit equation for peak performances. Visit Joan King’s website at positivementalimagery.com where she writes monthly articles on the mental side of golf. You can also follow Joan on Twitter and Facebook. Joan can also be contacted by phone on 828-696-2547. ← What do you do when you get the first-tee jitters?